The earliest routes used by Texas inhabitants followed natural features, such as rivers and ridge lines and connected travelers to natural resources and trade opportunities. 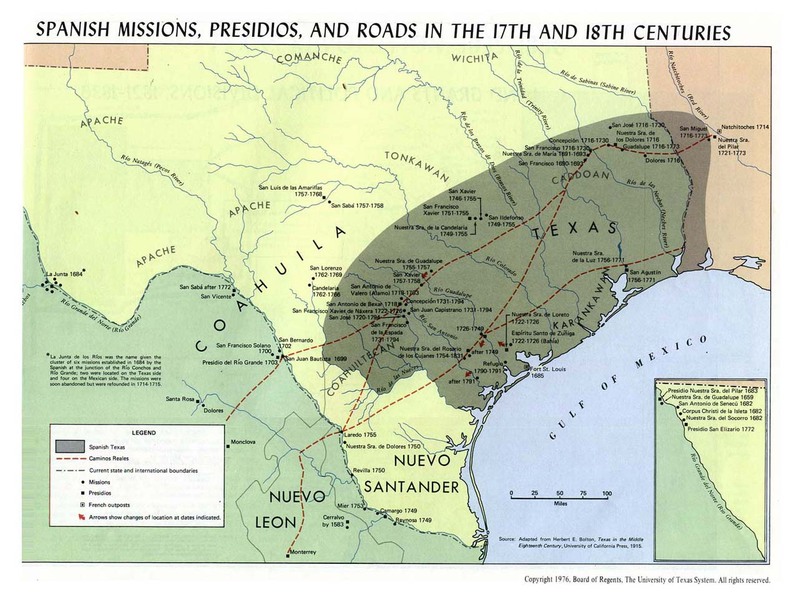 Early Texas road networks originally followed Native American trails, early Spanish explorers’ trails, and Spanish colonial routes that connected the missions and presidios throughout the territory. These trails, which connected early settlements like San Antonio, Goliad, Victoria, East Texas, and Louisiana, avoided natural obstacles, were near food and water, and crossed streams at shallow points. Some settlements struggled to survive due to conflicts with indigenous groups and extreme weather conditions. The most frequent users of these early roads and trails were explorers, pioneers, and traders. Up until the 1800s, transportation and road routes were limited and neglected. Read this Medallion article to learn more about the Camino Real from this era. 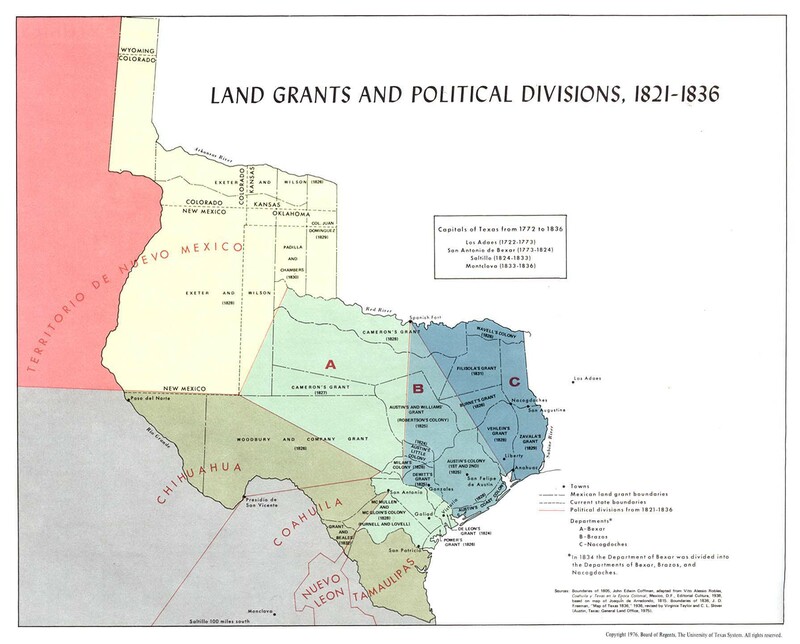 Once Mexico gained independence from Spain in 1821, Anglo-American migration established new routes throughout Texas. Land promoters began to survey and map major settlement roads. The majority of pioneers settled along rivers for access to trade and transportation. However, rivers were only navigable if there were heavy floods, and this resulted in seasonal travel and limited commerce trade. Between 1821 and 1836, Texas’s population increased more than 700 percent. Land travel remained difficult due to neglected roads and trails. Following Texas’s independence in 1836, the new government undertook a few transportation improvements. They approved of a Central National Road that created roads between county seats, but it was unable to support roadwork financially. Instead, the Republic relied on counties and settlement communities for road construction, improvement, and maintenance. Immigration continued at a steady pace, but the Republic continued to remain a thinly populated frontier with dispersed settlement. There was little need to improve roads because people did not need to travel far and relied on freighters and stagecoaches to deliver mail, goods, and supplies. When Texas joined the United States of America in 1845, it was a slow process to link the state’s roads and railroads to its new country. In 1848, the state passed legislation that provided two classes of road for Texas (a first class and second class), and allowed county courts to construct new roads, discontinue others, and classify roads. These roads were often muddy, which slowed down traffic and trade, preventing economic growth for the agriculture industry. By the start of the Civil War in 1861, Texas’ transportation networks included railroads, roads, stage routes, trails and waterways. These systems helped move people, mail, and supplies around the state.